This FAQ should answer most questions that I receive about this web site and Brass Bonanza. How can I obtain a copy of Brass Bonanza? Various versions of Brass Bonanza are available right here on this web site on our Whalers Audio page. Some versions are only available for listening online and cannot yet be downloaded. What if I want Brass Bonanza on a CD? I would like re-use an audio clip, picture, or video from your web site. Unfortunately, we cannot allow this as most of the content on this site was provided by other people or companies and therefore must not be redistributed. All of the content on this site is for your private, non-commercial use only. In addition, many items (both audio and pictures) contain watermarks and/or are reduced quality from their originals. When was this web site created? Brass Bonanza first appeared on the web in late 1995 on my first web site, The Pajama-Hut. I sent you an email – why haven’t you responded? There are a number of reasons for this. First, we do not have the bandwidth to reply to all emails received. Generally, if we send a response, it typically takes 3-4 weeks. Second, our aggressive spam filtering often filters out legitimate email from this web site. This is done to conserve bandwidth and ensure the site keeps operating. Most pages on our site allow users to add comments or ask questions, via a link at the bottom of the page. Typically, you will need to register in order to leave comments. Please understand that we no longer have resources to monitor and answer queries. 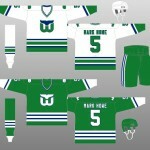 I have a photo of a Hartford Whalers Baseball Hat that Iwould like to send so you can decide on if you would like to add the photo to your website. The hat is in excellent condition also. If you would like me to send you a photo of this, please give me an email address to which I may send it.